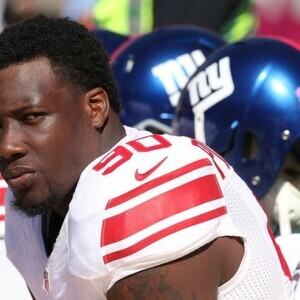 How much is Jason Pierre-Paul Worth? Jason Pierre-Paul net worth: Jason Pierre-Paul is an American professional football player who has a net worth of $3 million. 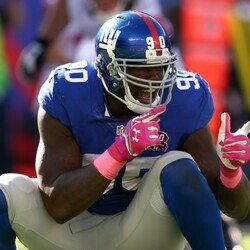 Jason Pierre-Paul was born in Deerfield Beach, Florida in January 1989. He is a defensive end who started playing football after he injured his leg playing basketball in high school. Pierre-Paul played at the University of South Florida where he was named First-team All-American and First-team All-Big East in 2009. 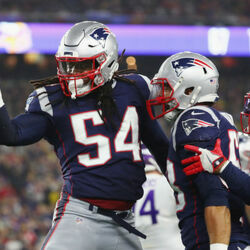 Pierre-Paul was drafted #15 by the New York Giants in the 2010 NFL Draft and has played for the Giants his entire career. 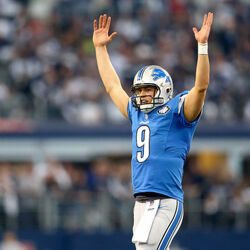 He won a Super Bowl Championship and an NFC Championship and is a two-time Pro Bowl selection. Pierre-Paul was a first-team All-Pro in 2011 and was named the NFC Defensive Player of the Month in December 2011. He has been a two time NFC Defensive Player of the Week and was ranked in the Top 100 Players of 2012 and 2013. In 2010 he signed a five year deal for $20 million with $11.6 million guaranteed. Pierre-Paul was seriously injured on July 4, 2015 in a fireworks accident and had a finger amputated.